The U.S. Supreme Court's recent decision in Alice Corp. v. CLS Bank, 573 U.S. (2014) rejected a patent based on an abstract idea; but perhaps more importantly for U.S. innovation upheld Diamond v. Diehr, 101 S. Ct. 1048 (1981), laying down a strong platform for innovators seeking patents in connection with the "Internet of Things." The additional positive aspect of the courts' decision is that these patent seekers will usually be eligible for federal and state R&D tax credits. Smart devices are enabling a wealth of new technological possibilities for businesses of all types throughout the world. The IoT "Internet of Things" promises to extend sensor technology to all sorts of objects, even those that are not usually associated with the term "smart". From a pacemaker to a coffee machine, everything will be linked together through the internet. Innovative businesses throughout the nation spend billions of dollars on research in order to develop and patent their smart products. Federal and State Research and development tax credits are available to shoulder the costs of this innovation, particularly for patent eligible products. 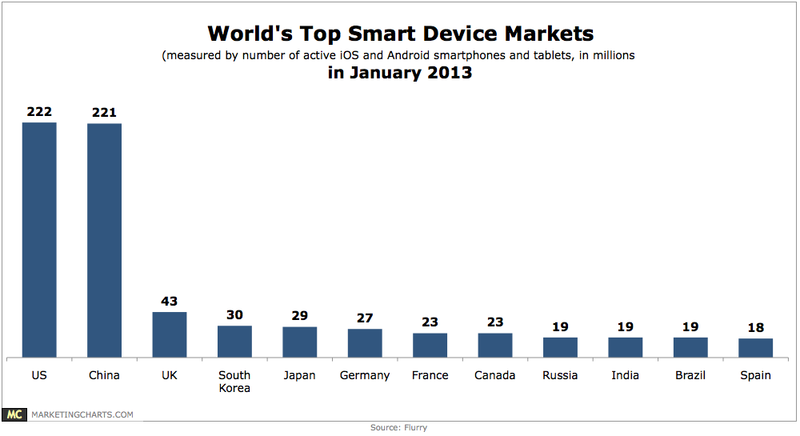 The chart below shows the U.S. as the world's leading smart device market. Although the R&D tax credit is available for an assortment of expenses that are unrelated to patents (i.e. improving or modifying an existing product or improving a manufacturing process, making a product cleaner, quicker, greener, cheaper, etc.) companies that seek patents are usually very strong candidates for the credit; and expenditures in connection with the production or perfection of a patent are generally eligible for the tax credit as well. However, recent Supreme Court decisions have denied patentability in connection with certain mathematical formulas generated by computers. Some spectators wonder whether this has any bearing on the patentability of innovative smart objects. In Alice, 573 U.S. the Supreme Court denied a patent for a computer-applied formula which mitigated "settlement risk" i.e., the risk that only one party to an agreed-upon financial exchange will satisfy its obligation. Justice Thomas, writing for the court reasoned that "because the claims are drawn to a patent-ineligible abstract idea, they are not patent eligible under 101." This is consistent with the court's long held position that "Laws of nature, natural phenomena, and abstract ideas are not patentable". The court cited Bilski v. Kappos, 561 U.S. (2010) and reasoned that "hedging is a fundamental economic practice long prevalent in our system of commerce and taught in any introductory finance class. The concept of hedging . . . therefore [is] a patent-ineligible abstract idea, just like [algorithms at issue in other cases]". Basically, the court denied the patent because the process did not accomplish "something the industry had not been able to [previously] obtain" with or without the help of computers. To the relief of patent seekers and taxpayers, the court acknowledged the holding in Diamond, 101 U.S. which awarded a patent to a claim involving the use of a mathematical formula in the production of injection molds because -- "although by itself a mathematical formula is not subject to patent protection" the process which included the mathematical formula "solved an industry problem". In that landmark case, inventors placed sensors inside injection molds to determine the heat inside the molds and used a mathematical formula applied by a computer to compute the appropriate drying time. The court awarded the patent. However, the Alice court distinguished Diamond because unlike the process for computing the proper drying time of rubber molds, the formula for hedging risk added nothing of substance to the underlying idea of risk hedging. The decision in Alice is no departure from the court's previous stance on patent eligibility. Einstein could not patent his celebrated law that E = mc2; nor could Newton have patented the law of gravity. Most innovative smart devices will be patent eligible. A computer sensor inside a bearing that informs a mechanic when the bearing is deteriorating is similar to a sensor inside an injection mold that tells an engineer when the mold will be finished drying.iii Both of these innovations still provide the trade with an innovative solution to a problem. A toothbrush that tells parents whether or not their children have brushed their teeth provides a function that the industry could not previously accomplish, namely an automatic monitor built into the tooth brush. The difference in the Alice case is that the formula which the computer relied upon was a natural phenomenon previously achieved by the industry through more simple generalizations about laws of mathematics and physics. The patent seekers here did nothing more than describe the steps to the computation in excruciating detail. Conversely, smart products which offer innovative functionality will still be patent eligible under 101 as long as they have some novel feature that is something more than just a mathematical formula. see Parker v. Flook, 98 S. Ct. 2522 (1978). When the mathematical formula is applied in an innovative "process" the "process" becomes patentable but not the mathematical formula itself. Still, the line between a patentable "process" and an un-patentable "principle" is not always clear. The court in Supreme Court in Parker describes the issue as turning upon whether or not the invention comes from the application of a law of nature to a new and useful end. In this case the product will be patent eligible. Whether or not the mathematical formula is new or old is irrelevant. The only relevant inquiry is whether the whole process itself is new and useful. Thus, if a device were developed which computed the amount of time a person should sleep before an I-phone app notifies the alarm clock to wake them up, the app would still be patentable as long as the producer sought to patent the device and not just a formula itself. In determining whether a claimed process is eligible for patent protection under 35 U.S.C.A. 10 the claim must be considered as a whole and not dissected into separate elements. If the claim viewed as a whole is nothing more than a formula it will not be patent eligible. The Supreme Court's ruling earlier this month applied traditional concepts of patent law. To some it was a disappointment as they hoped for a hard and fast rule for what constitutes un-patentable abstraction. To others it was a victory since the court declined an invitation to curtail software patenting by handing down a wider ruling aimed at condemning all software to a realm of abstraction. The decision sticks to the previous practice of allowing for flexibility in patent law. This flexibility serves to promote innovation since inflexibility generally results in arbitrary awards of patents. The recent Supreme Court decision will not negatively affect software producers who seek patents for their smart devices. As innovative producers seek to expand the Internet of Things they should continue to seek patents for their products. Although the R & D tax credit is available for an assortment of expenses that are unrelated to patents, companies that seek patents are usually very strong candidates for the credit. They should be aware of these Federal and State tax credits which are available to shoulder the costs of innovation.